No more holding your iPhone or iPod in your hands to watch that video or movie. 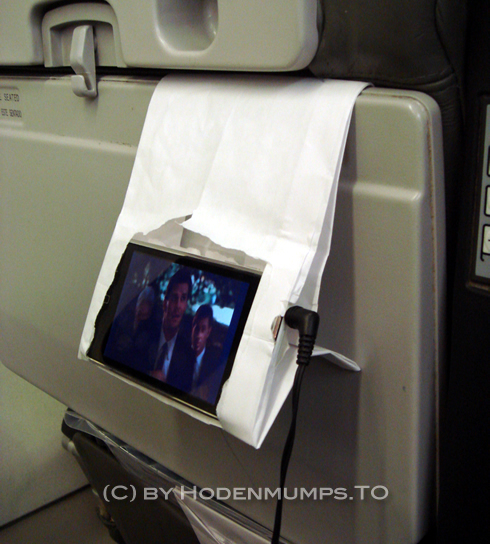 One airline passenger decided to turn the air-sickness barf bag into a simple iPhone case. This paper bag, available in your seat pocket in front of you fits behind the seat table and provides an instant and easy way to watch your movies. The case is even “compatible” when the person in front of you reclines their seat.